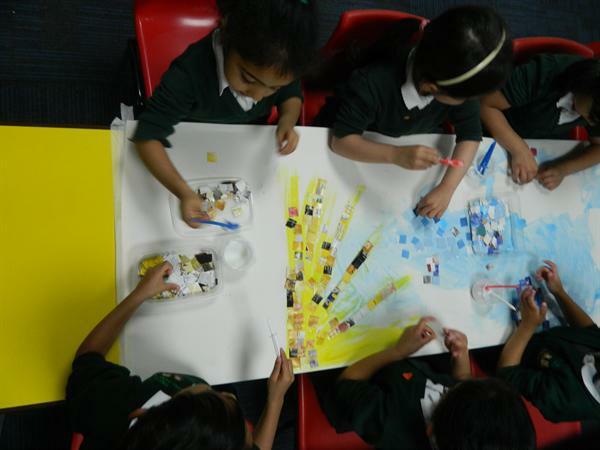 This Year our Arts week was based around the theme of skies. 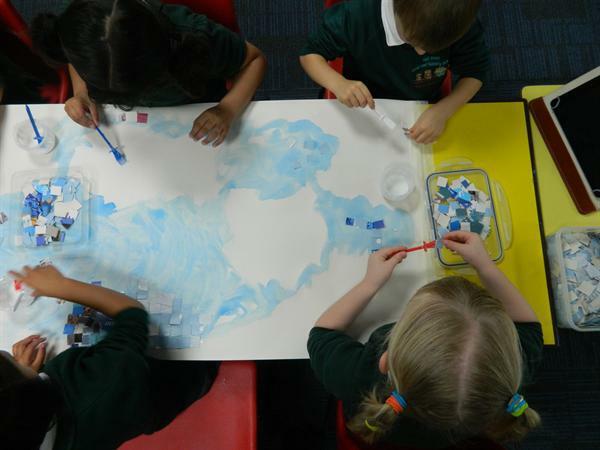 This broad area allowed children to be creative, imaginative, experimental and have enjoyment with looking at depictions of skies in famous works of art. 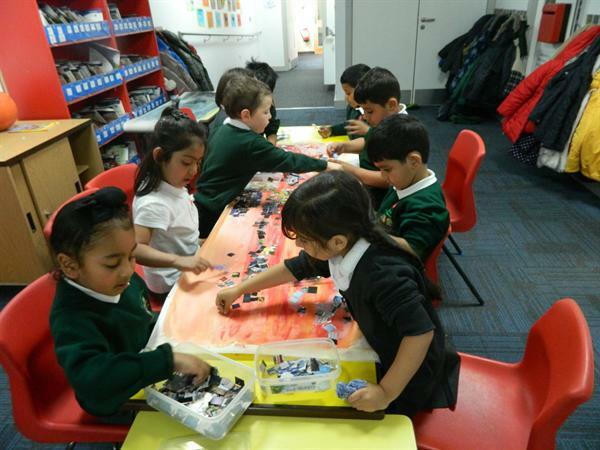 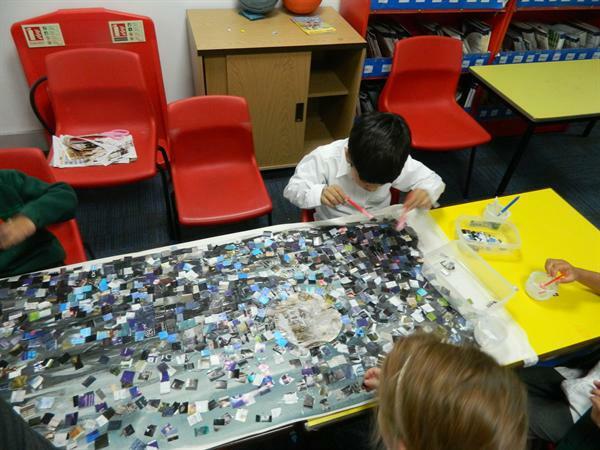 We were fortunate to have an artist visit us for the day who worked with the Reception classes. 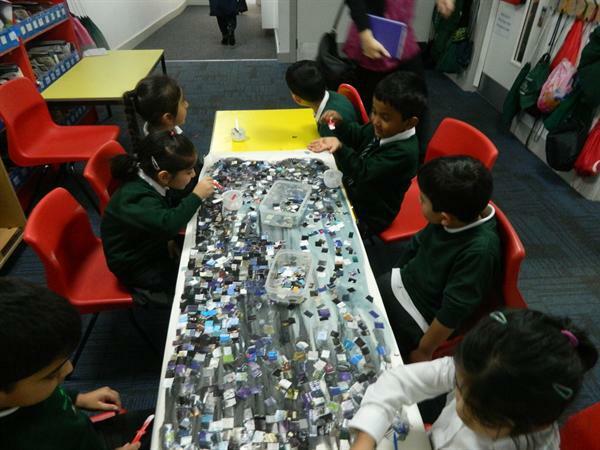 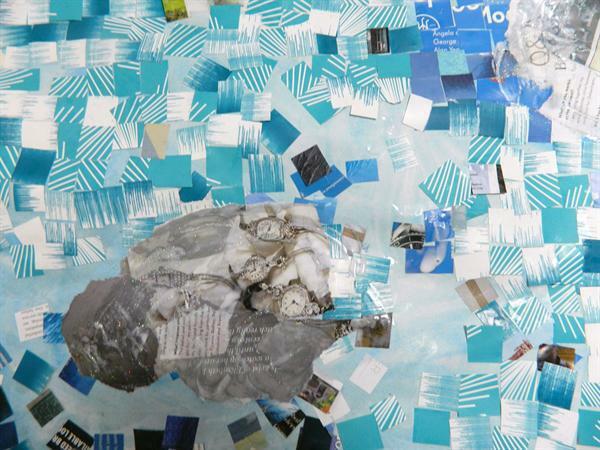 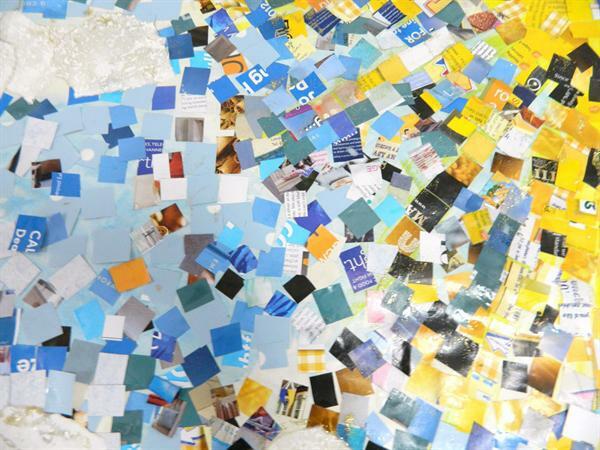 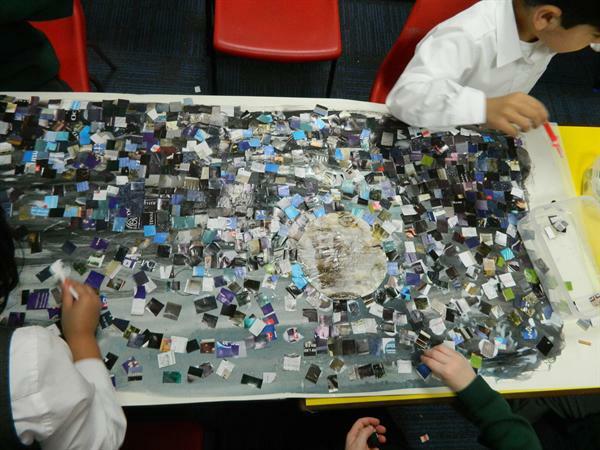 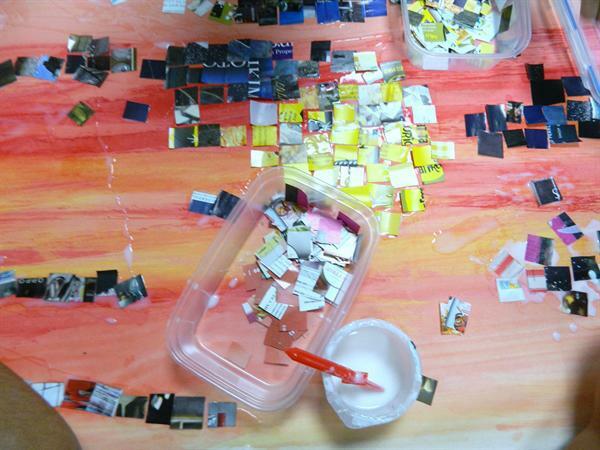 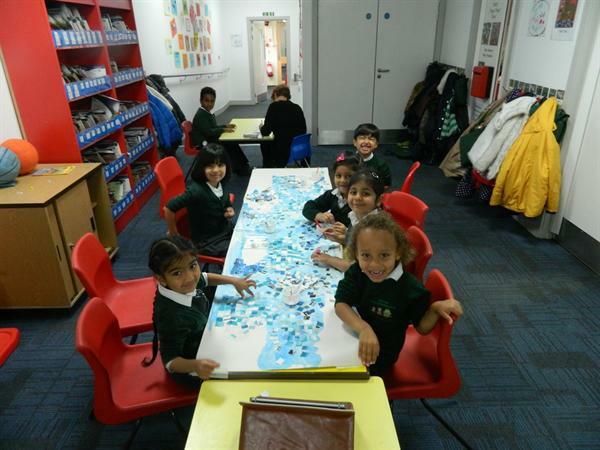 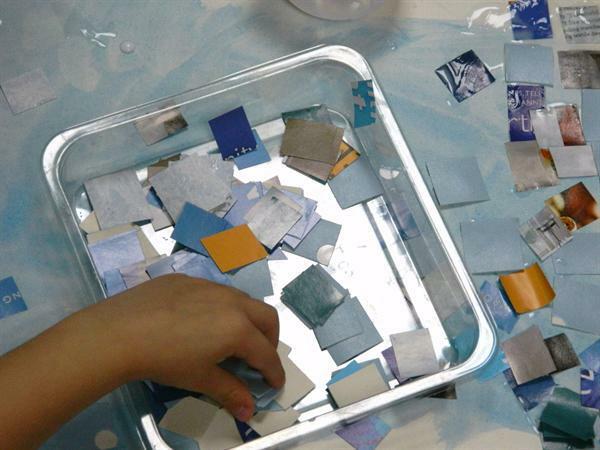 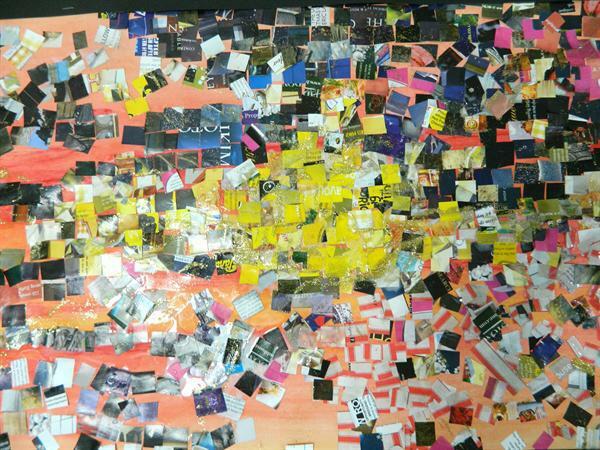 Each class made a seasonal sky out of small pieces of paper to create a mosaic effect. 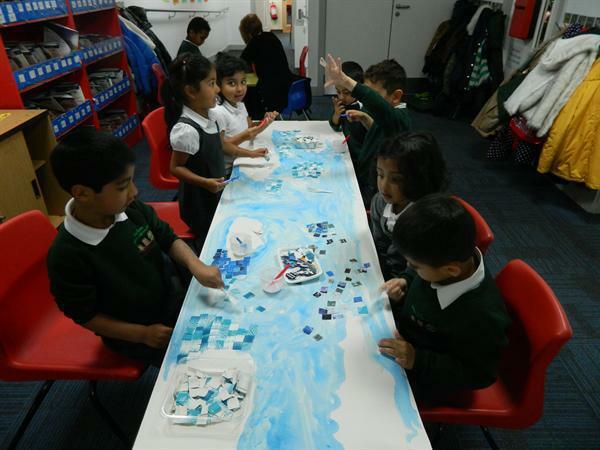 These wonderful masterpieces can be seen on display in the entrance.